Oyster mushrooms are a refrigerated vegan pantry ingredient that are a great addition to oriental style recipes. 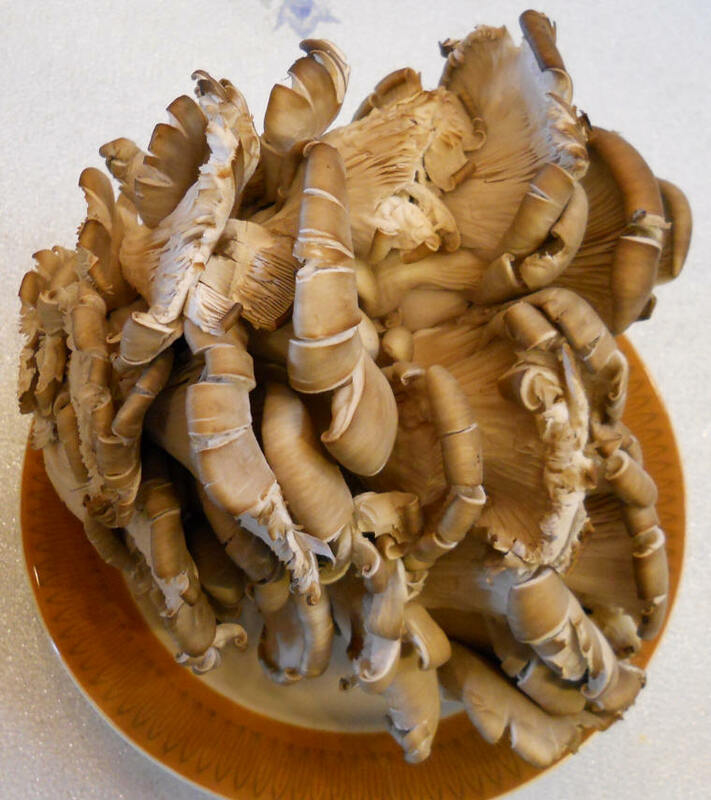 Oyster mushrooms (pleurotus ostreatus) are a common variety of edible mushroom; however, even though they are common, we rarely see them in supermarkets. Their name came from the fact that they look very similar to oyster shells. In the wild, oyster mushrooms grow on dead trees. They are cultivated commercially and are easy to grow. Oyster mushrooms can be used in many different recipes. We mostly use oyster mushrooms in our oriental style recipes. See the nutritional information below for raw oyster mushrooms. a Ergosterol = 64 mg/100 g.